VioClean is your Reading Mold Removal expert. Your most reliable & affordable mold removal company in Reading MA. We are the top mold removal company, and we offer great deals on mold removal cleanup. We remove mold and mildew from your home and offer immediate service. If you are looking for the best mold removal company that works to the highest standard of cleanliness in the Reading area, let us be your choice for mold damage cleanup and removal. 24 Hour Emergency Mold Removal Service for all Reading & North Reading residences. Mold Damage Prevention. We prevent mold growth for our customers in Reading and North Reading by keeping all materials in their home as clean and dry as possible. Our clients rely on us to maintain the circulation & humidity levels in their home between 30 and 50 percent. 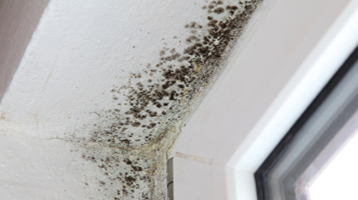 We correct the problems that cause mold growth for our customers. We correct the obvious sources of moisture, such as leaky faucets, dripping pipes or cold surfaces where moisture condenses. VioClean mold removal experts will reduce indoor humidity, vent bathrooms, dryers and other moisture-generating sources to the outside. We recommend that you use air conditioners and dehumidifiers to reduce the odds of having mold damage. Residents in Reading call us first for our quick response time and our attention to detail. Whether you are in Reading, North Reading, or any other city in our service area we have a wide variety of services and techniques to remove mold damage in your home. Plus all of our certified mold removal technicians are certified and insured. We know the Reading area and we know the mold problems most homes deal with. If it is an emergency call our mold removal hotline now. We are standing by. Rest assured your home and your families health is in the right hands. Mold is nothing to play around with, and removal of mold, especially black mold, is serious too. We take our job seriously and we would love to have you as a part of our happy family of clients. We have removed mold out of many homes in Reading and North Reading. If you are not sure if you have mold but think the signs are there, whether it’s a mildew scent you keep smelling or your allergies are flaring up in your home, you’ll want to consider an air quality testing for mold spores. Remember that not all mold is visible to the eye, that’s why our Reading indoor air quality assessment will determine what extent of mold you have. 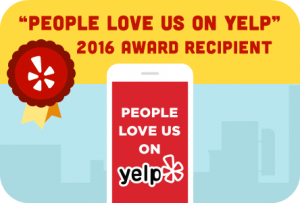 Is Hiring a Mold Removal Contractor in Reading expensive? Most Affordable Mold Cleanup Company in Reading! We offer Direct insurance billing to all homes in Reading & North Reading MA. VioClean’s mold damage contractors provide service to all of Reading and North Reading MA, including 01801, 01867, 01864.